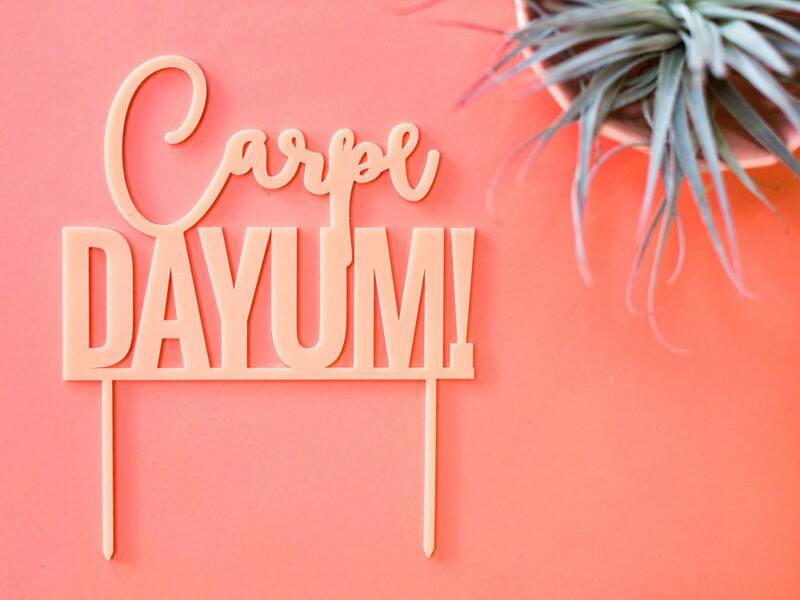 If you're a fan of Broad City (TV Show) and you've got street cred with laying down your Urban Dictionary flow, then you'll appreciate our Carpe Dayum topper! 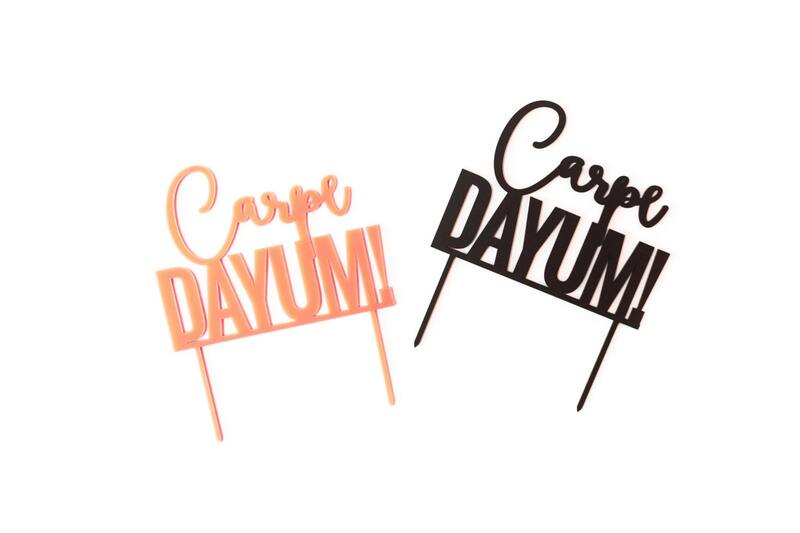 If you need to be in the know, Carpe Dayum means "Cease the Hottie". I think your lover will totally appreciate this on their birthday cake!